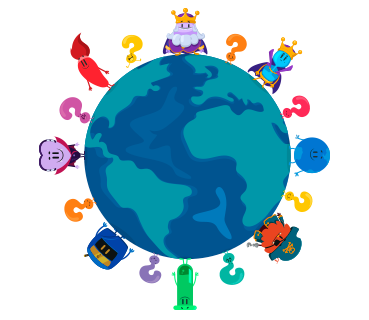 Our games reach the 400 million player mark worldwide and over 20 million daily active users. 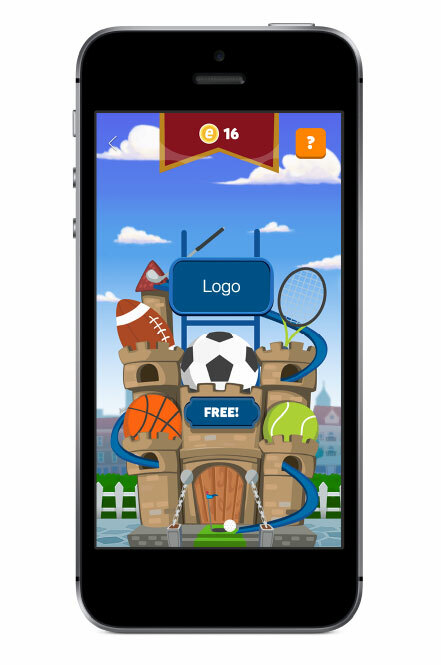 Etermax has always been a pioneer in commercial strategy regarding game monetization. It is one of the first worldwide developers to build its business model based in Mobile Advertising. 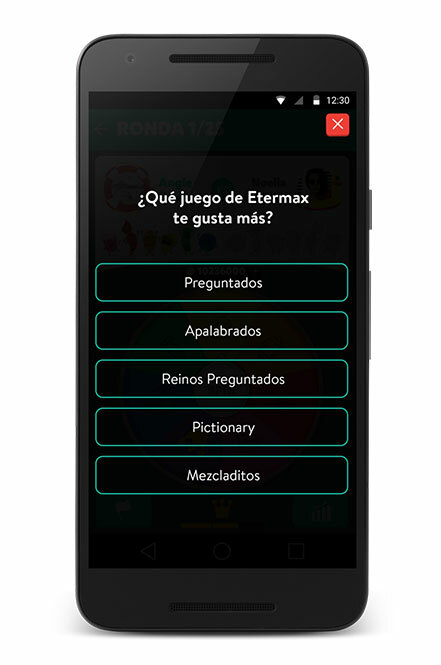 Etermax knows its users' tastes, preferences, characteristics and habits. All this data is used to improve the ads experience within the apps. Our games are a cutting-edge medium that enable your communication objectives to be met with precision and in a playful environment. Get to know the formats we have to offer and find your ideal ad campaign. Our games are enjoyed all over the world. This allows us to reach users playing anywhere at any time. We have a formidable user base. Players of all ages enjoy our games, which makes us visible to a wider audience. It is non-intrusive, given that the user chooses to see it. To activate the Destination URL, the user must click on the call to action button. The minimum resolution is 320x480 / 480x320. It supports mp4 files or vpaid/vast tags. Which apps is it available for? This non programmatic format presents two models where questions are linked to ad spaces. Thus generating brand awareness by including their brands either in the questions or in the answers. 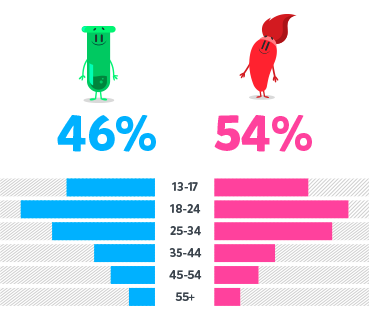 Each branded content question is linked to a native ad space and a full-screen ad space. This means that communication with the user is dynamic. 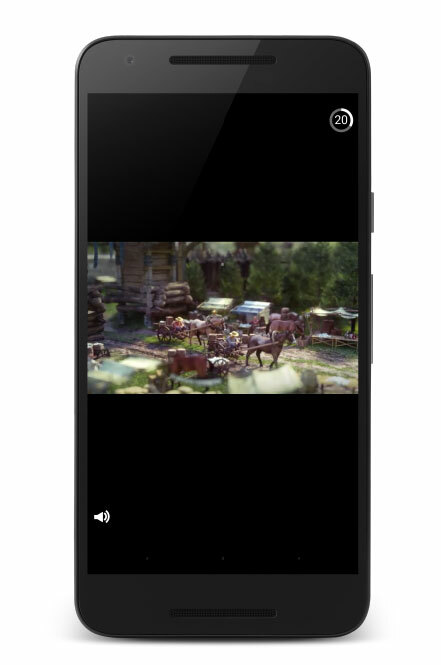 The full-screen ad space may include a video or an image which may be static or dynamic. Within the Trivia Rush feature in Trivia Crack, the user finds a series of scrollable castle halls. The first and most important is of a brand sponsored game. 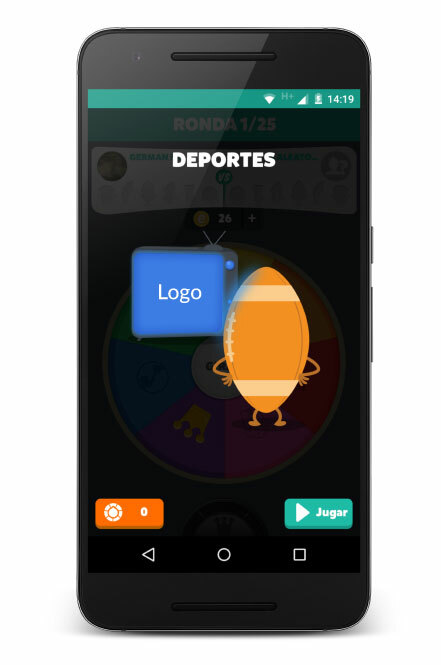 During an established period, the user can play Trivia Rush for free in the advertiser's hall. 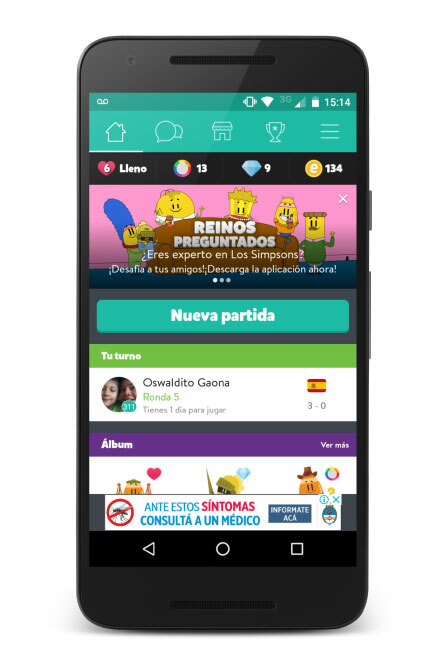 The game consists of five question rounds related to the different Trivia Crack categories where the user plays against an opponent. The questions answered correctly within that castle are tallied and the results are shown in a ranking published outside the app. Participants have access to the ranking through the information screen within the sponsored castle. After spinning the wheel users see an animation showing them which category they got. In this format, companies can associate themselves with a particular question category and their respective characters, this is done get a better position in a specific segment (Sports, History, Geography, Art, Science or Entertainment). It's ideal for ads promoting new product launches and promotions. Full-screen ad format. It is displayed after a user loses a turn. It has a high CTR (click-through rate) because users will surely see it. In this way, the number of clicks on the ad is greater than those formats which appear less. The space supports static, dynamic or video ads. The minimum format space is 320x480. Supports png, jpg, gif and mp4 files. For the target URL to become activated, the user has to click on the interstitial or, if it's a dynamic or video format, on the last call to action button. 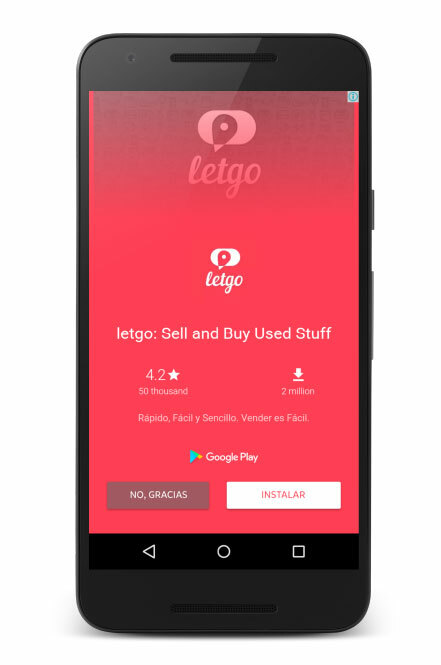 In Android devices, it is shown at the bottom of the app's dashboard and in iOS devices, at the top. The minimum format space is 320x50. Supports png, jpg and gif files. Special offers are discounts on the store's virtual goods. This type of action provides users with a direct benefit, which at the same time makes them have a better perception of the brand. 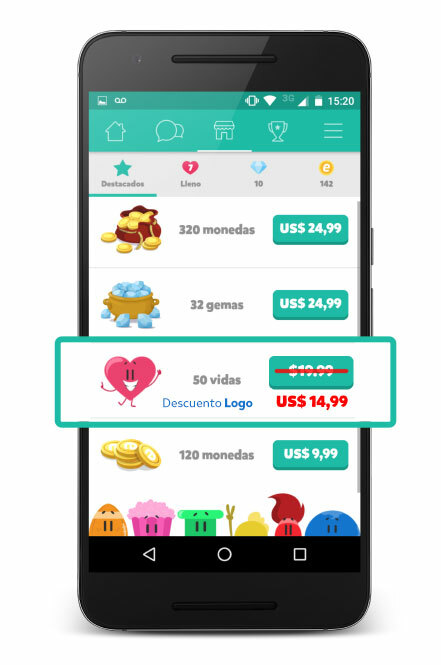 It can either be an exclusive action for clients, by providing promo codes, or a general action for any user who wishes to access the store. Etermax can provide the coupons or announce the offer through a push notification. This can also be carried out through a Main Sponsorship in the home page. 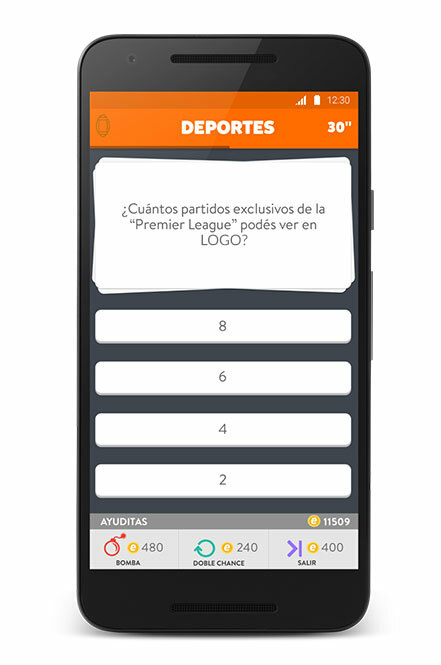 The sponsor's ad will appear in the first position of the carousel, in the game's home page, for a specific period of time. Only a company can act as the app's main sponsor. 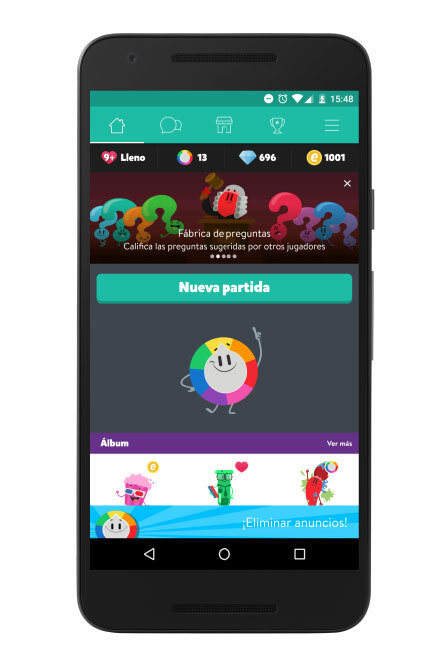 Assets can be co-branded by the company and the Trivia Crack characters in order to use our brand to help promote a concept or idea. Etermax opened a new division in its commercial team. This team is in charge of developing Playable Ads. 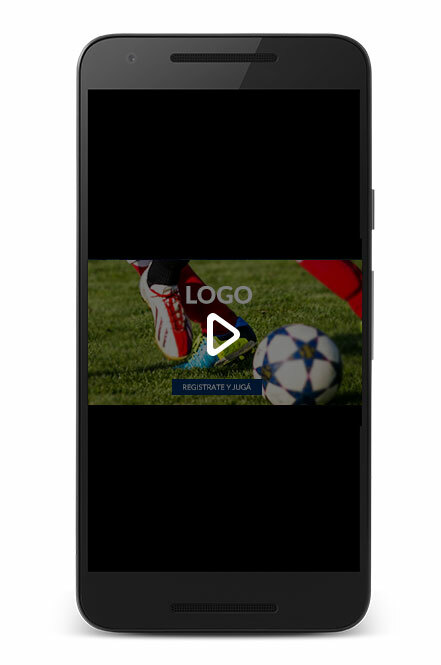 This interactive advertising format can be activated within the interstitial and/or rewarded video formats. 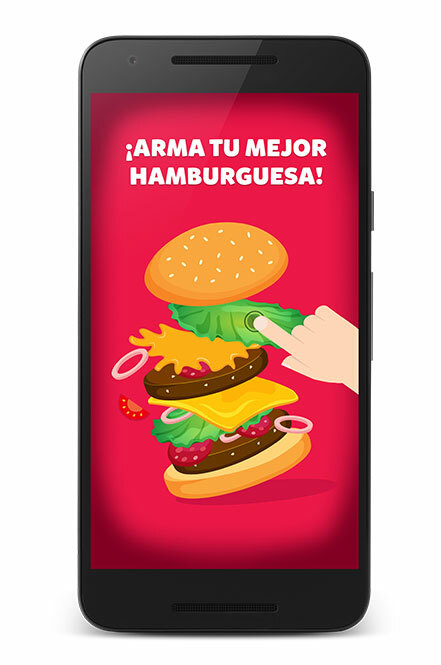 The brand/client can develop creative concepts, such as: a user preparing a hamburger with different ingredients, playing with different objects within the given space or scratching a coupon to obtain a promotional code. The brand could have a special spot on the wheel. The user will be directed to a screen after the first spin. 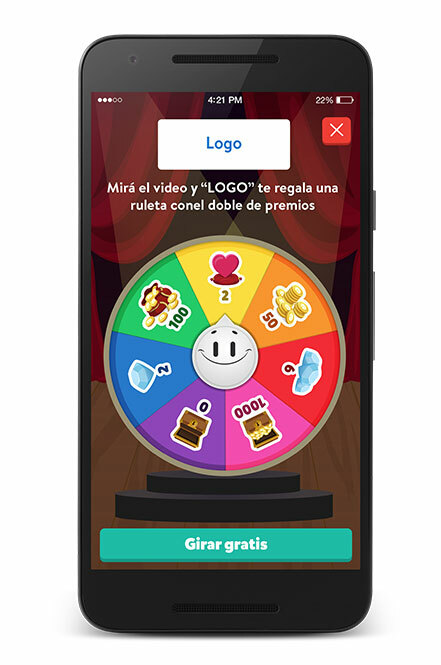 This page will have the look & feel of the brand and the user will be able to choose to watch an ad from that brand and duplicate all the prizes on the wheel. In the current rewarded space, brands can generate a series of questions in order to gain insight into a particular topic. 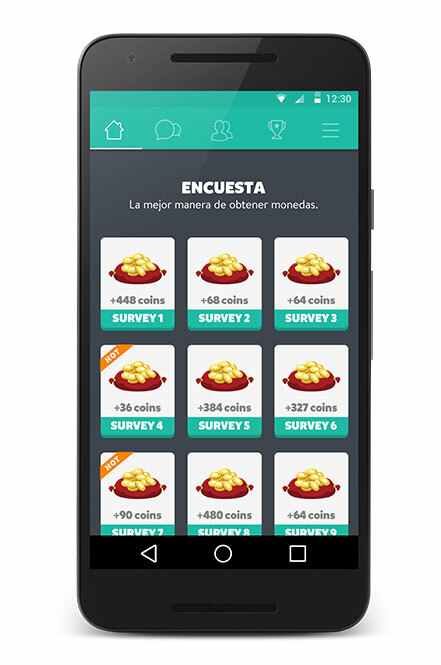 Each rewarded survey should last up to 30 seconds and can include questions with quantitative or qualitative answers. 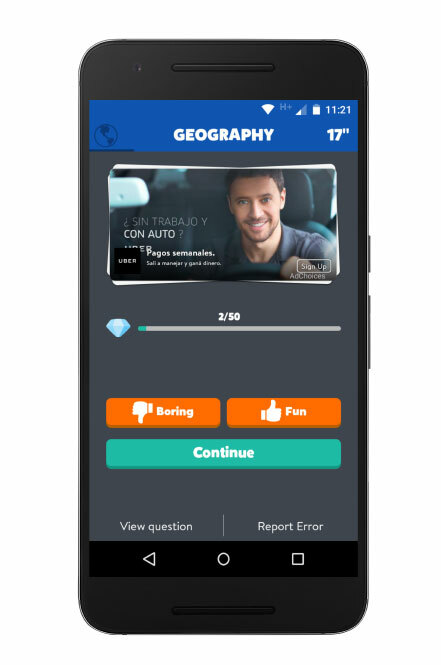 A Mystery Question increases the effectiveness of the video reward with branded questions. 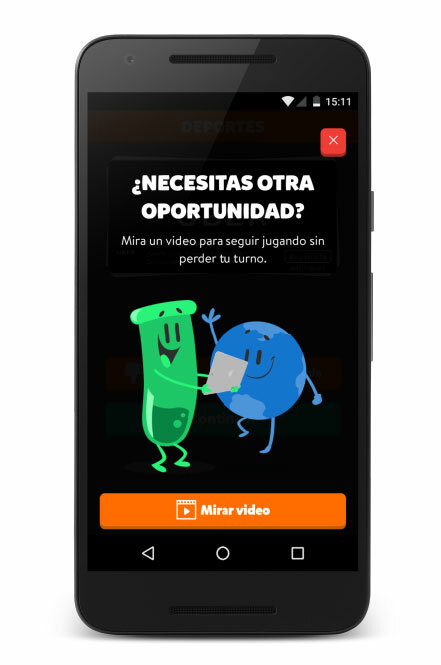 The users impacted by the video are targeted with branded questions to reinforce the concept that was shared in the 30 second video. After the campaign, we can gather insight on the user’s level of understanding generated by the communication. At Etermax we know our players' interests. 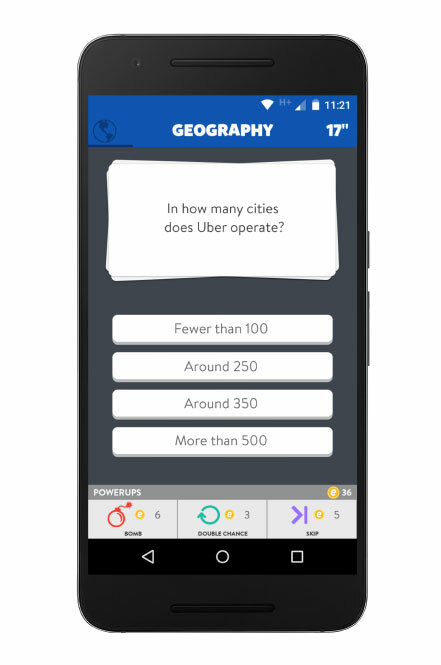 In addition to their demographic profiles, purchasing habits, use of credit cards and location, we know the game categories they excel at, both in answering questions and in creating them. An innovative and positive brand experience. Allows us to reach a user playing anywhere at any time. It is easy to estimate the return on investment. Users pay more attention and remember better. ©2019 Etermax. All rights reserved.